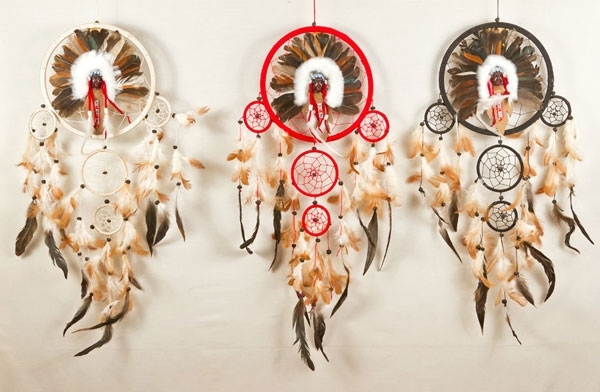 Handmade natural cotton Native American styled dream catcher. 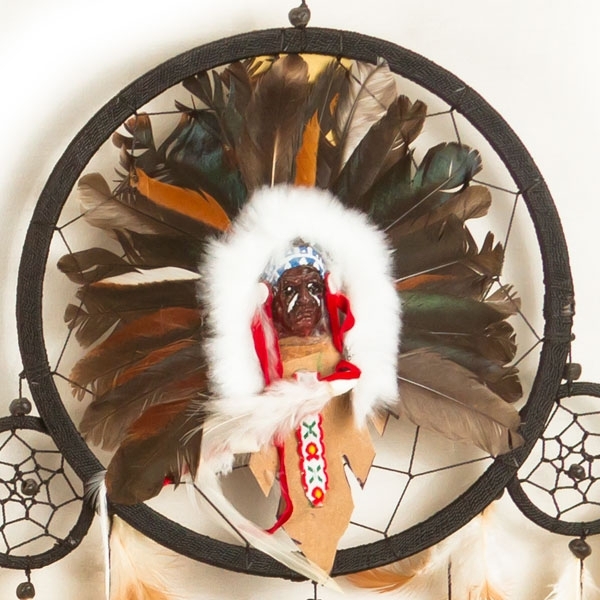 The face is made from resin with the decoration and headdress from a mixture of real feathers, leather and imitation fur. There is a central web with 4 “babies” hanging beneath. The main web sizes is approx 22cm and has a total drop of approx 50 cm.